Many Architecture Description Languages (ADLs) appeared in order to model complex software solutions. Unfortunately, current modeling approaches do not take into account infrastructure related constraints and do not add non-functional requirements to architecture constructs. 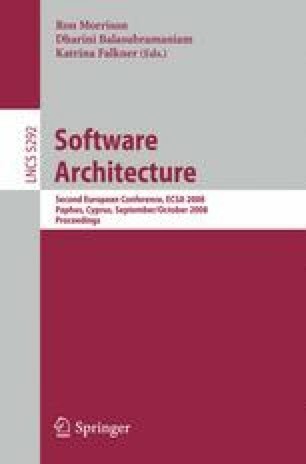 This paper describes a transformation-oriented method to design distributed software architectures. Our method is based on an ADL named IODASS. It uses semantically extensible building blocks with qualitative attributes that specify non-functional or infrastructure related requirements.